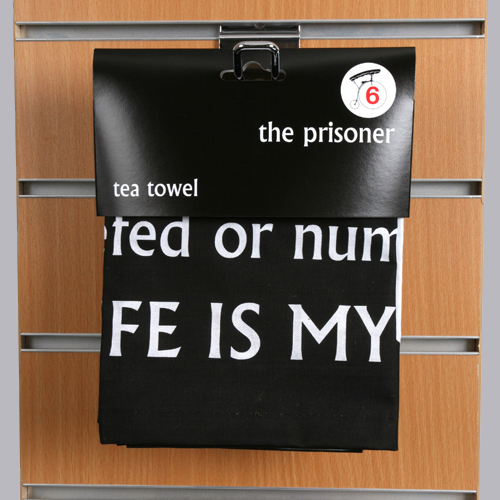 We have recently introduced some new cardboard header-card packaging for tea towels enabling the tea towels to be hung up on a euro slot without a plastic bag. These headers are available with either our own generic Countryside Art design (with no minimum order) or can feature the customer’s own design specific to themselves (minimum order quantities apply). We have featured some photos showing some of the headers we have already supplied featuring customer’s own designs. A swing ticket can also be added showing the full tea towel design too if required. 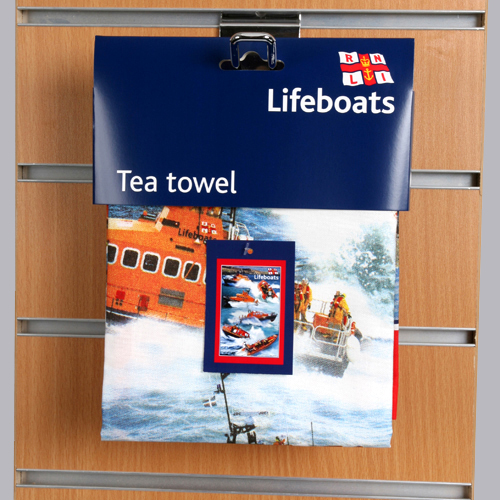 The photo of the RNLI tea towel shows an added swing ticket. The advantages of this type of packaging are that the header cards are completely recyclable. 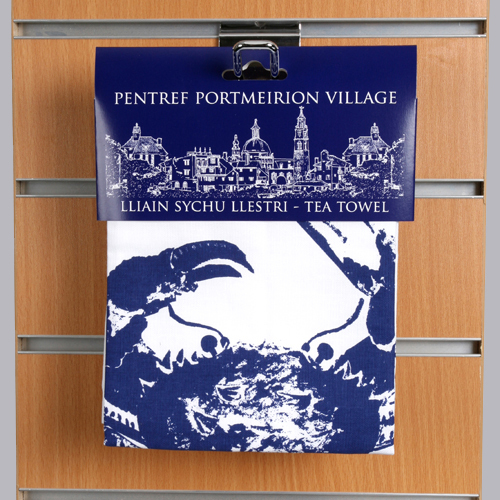 The quality of the fabric can be felt by the prospective buyer and the tea towels can also be displayed neatly in a small retail area. Both the headers and the swing tickets can be designed in-house by Countryside Art or customers can provide their own artwork placed into templates that we provide. 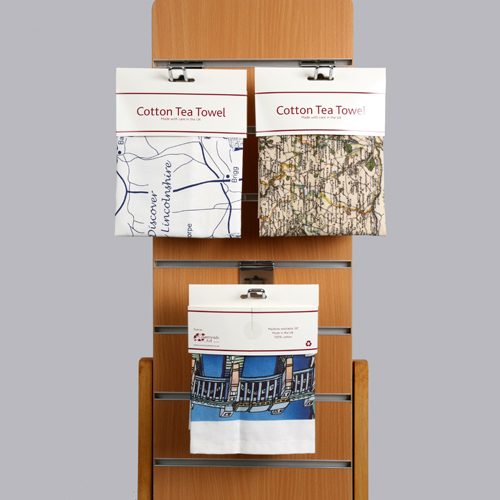 Although the headers are designed for hanging on euro slots, the header-carded tea towels can also be neatly displayed flat on shelving too. For more information please contact us at sales@countrysideart.co.uk or call on 01790 754 806.